Some educators get confused on what the mandatory test of academic proficiency consists of. This is an important test that applies directly to your ability to get licensed to allow you to do what you love for the rest of your life. Do not spend any further amount of time sitting around wishing that you were in the career field of your dreams. Make it happen! Put your focus and dedication into fulfilling your career desires, and you will come out successful on a consistent basis. Step one is making sure that you fully understand the ins and outs of this test. What is the Test Composed Of? 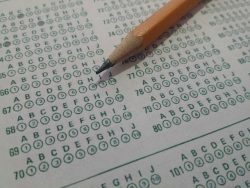 Four sub-tests make up the test of academic proficiency, each covering a different subject matter. These four sub-tests include reading comprehension, language arts, mathematics, and writing. When you go to register for the test, you will notice that there is an option to register for all four sub-tests at once, and also another option to register for one at a time. There is price difference between paying for the set of tests all together and paying for each sub-test individually. There is usually a discounted rate for scheduling to take all four sub-sections of the test of academic proficiency at once, but the option to take them individually is still there if needed. The test of academic proficiency is, of course, used to test your skill level in all four of the above categories. This is a basic skills test that only examines your basic skills in math, writing, language arts, and reading comprehension. Most can pass this test easily, with a few study sessions along the way. Do not let this test deter you from chasing your dreams! What Form Does the Test Come In? It is common wonder if you have the option to take the test on paper vs. electronically and vice versa. Fortunate to some and unfortunate to others, the test must be completed electronically, as there is no paper and pencil option in most cases. This test of academic proficiency, along with similar tests such as the NC teacher certification test, are essential to ensuring that only the top educators are placed in the various classrooms and educational settings around this country. Take the steps necessary today to fully understand the ins and outs of the test of which you need, and start fulfilling your career goals today! How to Excel in Academic Challenges?